How would you interpret this sign? 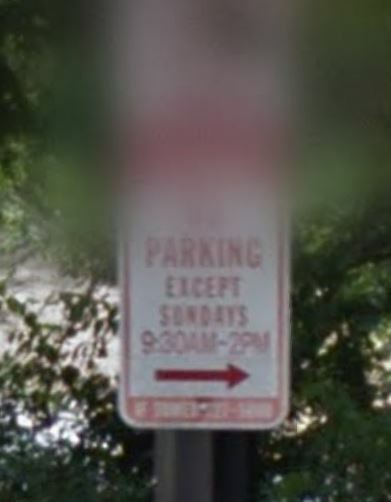 WASHINGTON — Some people joke that you need a PhD to interpret many parking signs in Washington D.C., especially around churches with services on Sundays. 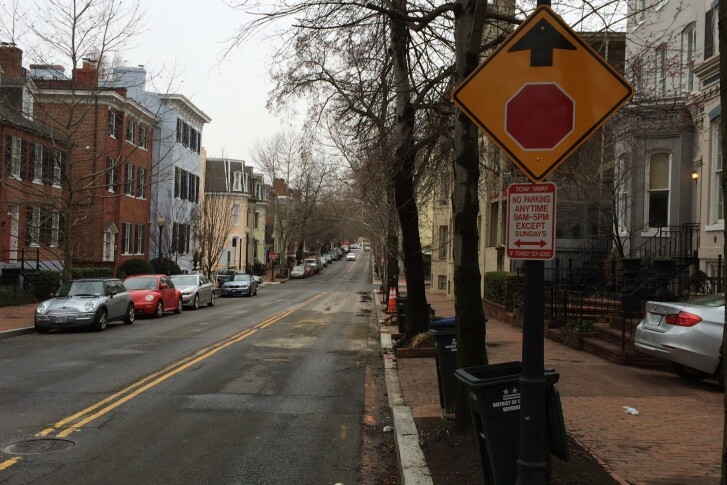 In one Georgetown neighborhood block, the signs are very confusing. It’s located at 2900 P St NW, an arterial that connects Dupont Circle to Wisconsin Avenue. It’s also a residential neighborhood with at least a dozen churches in a five-by-five block area. Also the Kesher Israel Georgetown Synagogue. So how would you interpret this sign? When can you park there? When can’t you park there? When can you park there on Sundays? If you said that you cannot park there Monday through Saturday between 9 a.m. and 5 p.m. and can park there all day on Sunday, then you would be in the majority. 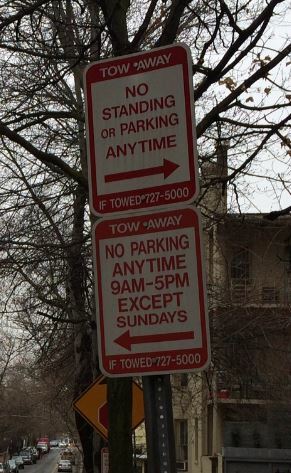 DDOT ticket officer A. Mattox interpreted the sign to indicate that motorists cannot park on this block at all Monday through Saturday, but you can park there on Sunday between 9am and 5pm. After 5pm on Sunday, no parking is allowed. Mattox ticketed other drivers for similar violations at 1600 H St, 1500 23rd St, and 1400 31st St NW. The sign says “NO PARKING EXCEPT SUNDAYS 9:30AM-2PM”. You cannot park there at all, except on Sunday from 9:30 a.m. until 2 p.m.
DDOT likely meant for those rules to apply at 2900 P St NW too, but the wording of the sign gives the opposite message to the average driver.